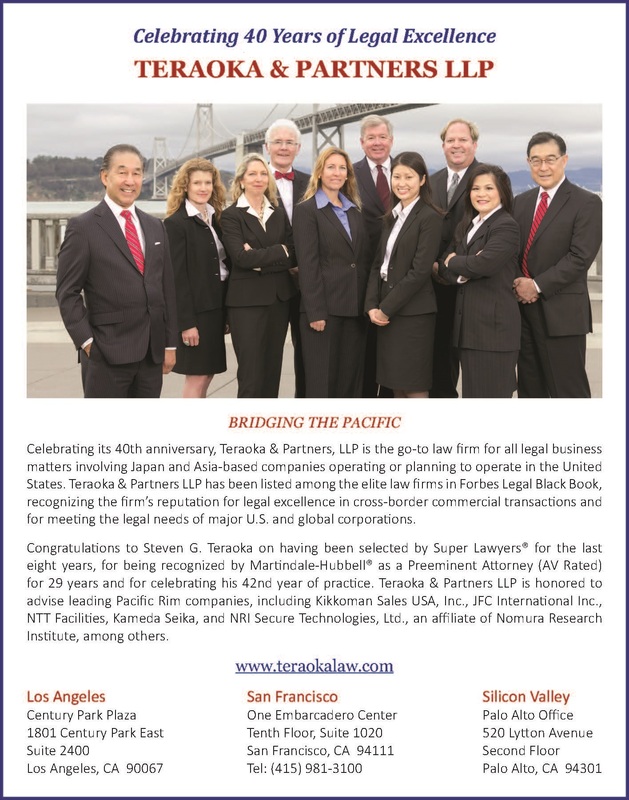 Legal Leaders is a publication featuring regional Top Rated Lawyers and covering trends in Law. It’s featured in San Francisco Chronicle, SF Gate, Wall Street Journal, The Recorder Law Business Technology, and Law.com. コピーライト © 2019 Teraoka & Partners LLP, All Rights Reserved.